Ever feel like you’re stuck in an old skin routine? Or, continue to keep getting breakouts? Or have no idea where to even start? Trust me, same here. I couldn’t take it anymore. Recently, after the best facial I’ve ever had at a new spa, I am a changed woman. Being in college, we all have hectic lives and sometimes forget that the way we treat our skin directly affects how it looks. We can’t forget to take care of our skin in order to try & attain the flawless complexion that we all dream of. Tip #1 : NEVER sleep with your makeup on!!! I know that after a long night out and a few too many drinks, you may fall asleep in a full face of makeup, but sleeping in your makeup can clog your pores and lead to breakouts overnight. So, to keep your skin healthy and prevent break- outs, try to get into a habit of always taking your makeup off and washing your face before you jump into bed! This may sound strange, but I have been using this as makeup remover for a few years now. This product is sensitive on the eyes (because it’s meant for babies) and it never seems to leave the black line of eye makeup under my eyes or cause any breakouts. It gets rid of my makeup completely. If you’re looking to try something new, I recommend this product! My favorite pre-workout face wash is Aveda purifying gel cleanser. It is light on the skin and doesn’t make my face oily, which is important before I workout and sweat. And after I workout, I rotate washing my face with the Aveda creme cleanser and Aveeno baby cleanser. Toner should be applied to your face after it has been freshly washed. Toner balances the PH levels in your face, shrinks the appearance of pores, and removes any excess dirt from your face. Now that I’ve realized all the benefits of toner, I can’t live without it. Pro tip: I’ve found my skin breaks out less when using the same brand of toner as my face wash.
My favorite toner is the Aveda Toning Mist! Always allow the toner to dry completely. Then, follow it with a few pumps of moisturizer to seal everything in and hydrate your skin. 10 minutes until class starts, and you NEED to put on a little makeup? Don’t forget to put on primer BEFORE your makeup. Putting makeup straight onto your skin is fine, , but primer allows makeup to glide much smoother onto your skin-- plus it prevents fine lines or wrinkles! There’s tons of different types of primers for your skin needs: some for removing redness, decreasing oil , or hydrating dry patches! Primer can be a great addition to your routine that only takes a few seconds, and really help your skin in the long run! 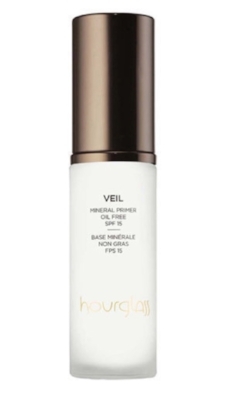 I tend to have red undertones in my skin, so I use this awesome Hourglass Veil primer to reduce redness. Ever look at yourself in a photo, and your forehead and chin are practically reflecting every light in the room? There’s nothing worse! Oil absorbing sheets are a great solution. However, you’ll want to dab your face instead of wiping— wiping causes makeup and dirt to build up in your pores. 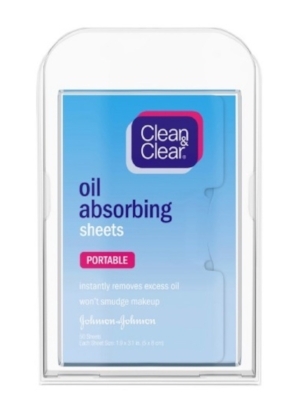 To use an oil blotting sheet, lightly dab it all over your face. You may be startled with how much oil comes off, but better that then have it stay on your face all day! I hope these tips help you achieve your most beautiful skin ever!